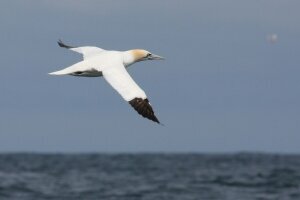 The Special Protection Area at Troup Head supports over 20,000 individual breeding sea birds. Kittiwake, Guillemot, Fulmar, Gannet, Shag, Herring Gull, Great Black Backed Gull, Razorbill and Puffin all nest here. The best views of Hells Lum and Lions Head are from grid ref NJ827670 and of Troup Head from Collie Head at NJ815670.